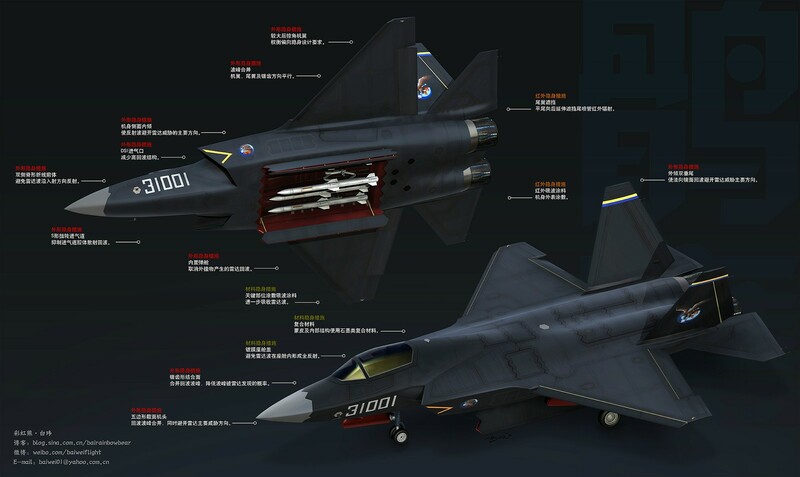 The J-31 seems to have borrowed various design elements of the F-35 and F-22, although the J-20 bears less resemblance to either. 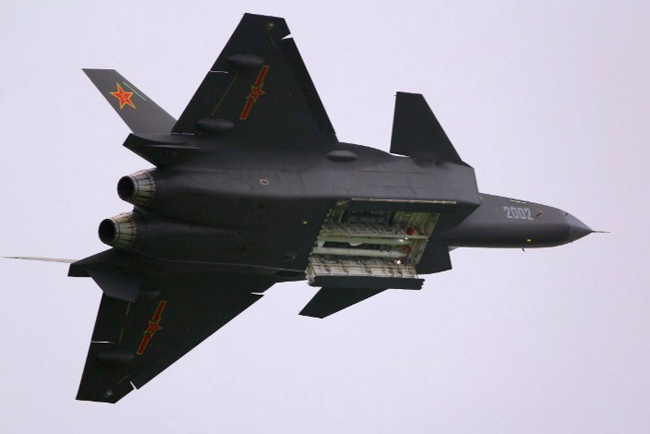 The one aspect that still dogs China’s ability to develop a truly world-class fighter is its lack of reliable engines. Its WS-10 is less reliable and less efficient than the Russian powerplant it was derived from, and even the newer WS-15, currently in production, is said to lag behind as well. Shenyang J-31 showing internal weapons bay. Reminiscent of the F-22. The Chinese approach to aircraft development is also much different than Russia’s. When you look at the PAK-FA, Russia chose superior maneuverability over total stealth, and seems more focused on long range detection of stealth platforms. 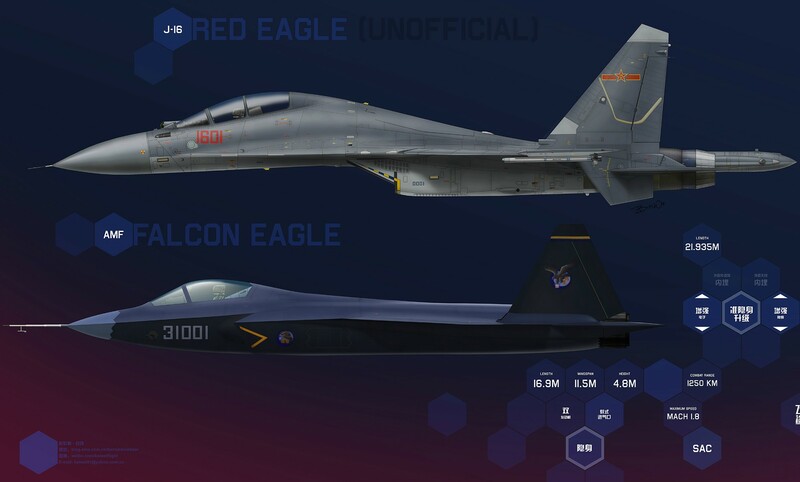 The Chinese, on the other hand, appear much more interested in the general stealth concept and (at least I believe) are working towards a hybrid of US and Russian design elements that take from the best of both worlds. The fact that Russia is still more focused on maneuverability could point to its lack of fundamental knowledge on the stealth and electronic warfare front. By contrast, the Chinese are showing strong signs that it well-understands the intricacies of stealth technology. It has also had the chance to study the SU-27 and SU-30 aircraft they bought (and copied) from Russia, and they reportedly derived some of their stealth from fragments of an F-117 that was shot down over Serbia in 1999. 1- J-31 tech demonstrator. 2 – scale model of final design, front. 3 – Rear view showing clipped wingtips and cropped vertical stabilizers with increased cant angle. 4. Stealthier exterior engine design. When you look at all of these factors, if the J-20 and J-31 show anything close to a similar capability to the F-22 and F-35 there pose a very real threat to Western fighters. Shenyang J-20 performing at an airshow in China. 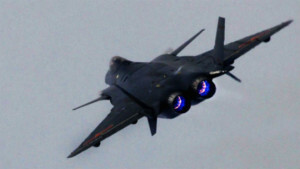 Note the blue tinge to the afterburner reminiscent of the SU-27’s AL-31 engine which the J-20’s engines are based off of. The Shenyang J-31 is going to see carrier deployment in the future and makes use of a twin-engine design. It also borrows several structural design cues from the F-35 which will no doubt aid in its signature reduction and overall performance properties. One such design cue is the diverterless supersonic inlet (DSI), that reduces weight while and moving parts. 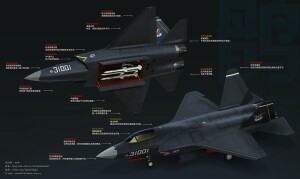 The current full-scale model of the J-31 shows a few unique design features in contrast to “#31001” – the current tech demonstrator. The tailfins have been thinned out and look to have been canted slightly more over #31001. The wings have also been clipped at the back and re-shaped. Also of note is the signature conscious design of the engines on the full scale static model. J-20 doing a fly-past showing off its internal weapons bay. The J-31 will likely not have the same kind of range that the J-20 does and will also likely be more focused on performing a larger number of roles, similar to the F-35. The J-20 is projected by Chengdu to be a competent air defense platform, but its increased length and size points to an increased range and payload that will allow it to carry out strike missions more effectively. This likely means less emphasis on all-out maneuverability. The J-20 is also further along in its development cycle, and will probably be the first to enter service. While the West awaits the outcome of these two programs, there are still plenty of things to be concerned about. There’s the Chengdu J-10 and Shenyang J-11. The J-11 is an unlicensed clone of the SU-27 and, of course, there is also the forthcoming Shenyang J-15. The J-15 is a carrier-based unlicensed derivative of the SU-33 and the J-16 is the non-navalized variant. China is also presently on the verge of buying 24 SU-35s from an understandably reluctant Russia, and if it does, China will find itself with an even more advanced AESA radar and engine to reverse engineer. This tech will no doubt rapidly find its way into China’s existing Chengdu and Shenyang fleets, and will more than likely lead to a Shenyang clone of the SU-35. Side by side comparison of the J-16 and J-31. The J-16 is an unlicensed copy of the Russian SU-30 and entered service in 2014. China has also substantially upgraded its munitions over the last 15 years. Everything from anti-radiation missiles and all-weather radar and laser guided weaponry and anti-ship cruise missiles to more sophisticated close range weapons systems. The biggest limiting factor for China, at present, is the lack of a large carrier fleet — but that will change quite quickly. It will also need a substantial upgrade with regards to air-to-air tankers. These two items presently keep China’s range limited. 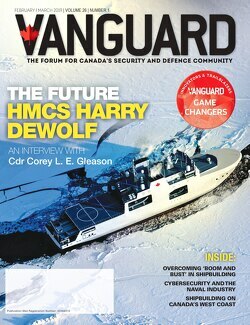 Between Russia, China and dwindling global resources, it seems only logical that Canada should begin to increase its defence spending to effectively expand and modernize our military. We need to be able to match any threat we face from these countries. What good are vast resources if we lack the capability to effectively defend them?